Chief Mukwikile of the Bemba speaking people of Shiwang’andu in Muchinga Province is delighted with the Zambia Forestry and Forests Industries Corporation (ZAFFICO) multimillion kwacha investment in the district. Chief Mukwikile said ZAFFICO investment has created more job opportunities for the local people. 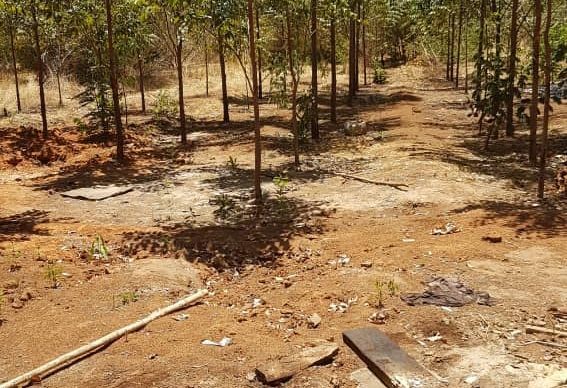 Zambia National Information Services reports that Chief Mukwikile said ZAFFICO has established a plantation in Shiwang’andu district where it has already planted trees on a 760 hectares piece of land. He was speaking at his palace when a parliamentary committee on Agriculture, Land and Natural Resources led by committee chaiperson Maxas Ng’onga paid a courtesy call on him. He has since called for the out-grower scheme to continue involving locals as a way of empowering them. And Ng’onga said his team was happy to see the positive impact of the ZAFFICO investment in Shiwang’andu district. Ng’onga who is also Kaputa member of parliament said the ZAFFICO investment in Shiwang’andu district has uplifted the living standards of people in the area in line with government policy. And ZAFFICO Shiwang’andu plantation manager Agripa Banda said projects like Zaffico were aimed at promoting reforestation in areas that are affected with deforestation apart from economic growth benefits through job creation. Earlier, ZAFFICO Managing Director, Frightone Sichone said the company had fully taken over the running of Kawambwa Tea Estate and that management is currently working to improve production, thereby improving lives of the ordinary Zambians. Sichone urged workers at both ZAFFICO and Kawambwa Tea to continue working hard.